Beijing may be the city of bicycles, Zurich the city of banks, and Las Vegas the city of sin, but no town is as synonymous with a single identifying feature as Deruta, a tiny hill-town in Italy’s central region of Umbria. 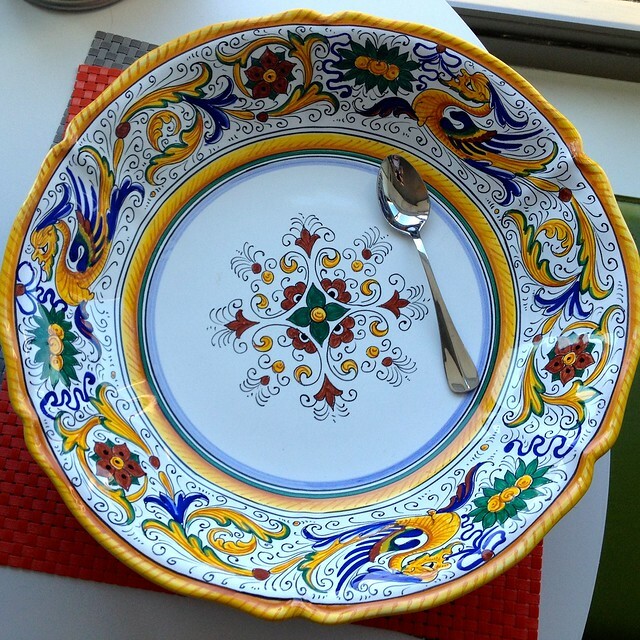 Deruta and ceramics (majolica, to be exact) have been living in symbiosis for at least five hundred years. Though production dates to the beginning of the Middle Ages, Deruta’s characteristic patterns still painstakingly painted and fired by hand today reached their height during the 1600s. The tiny town of Deruta in Umbria has been producing exquisite ceramics for at least five hundred years. Click to tweet. 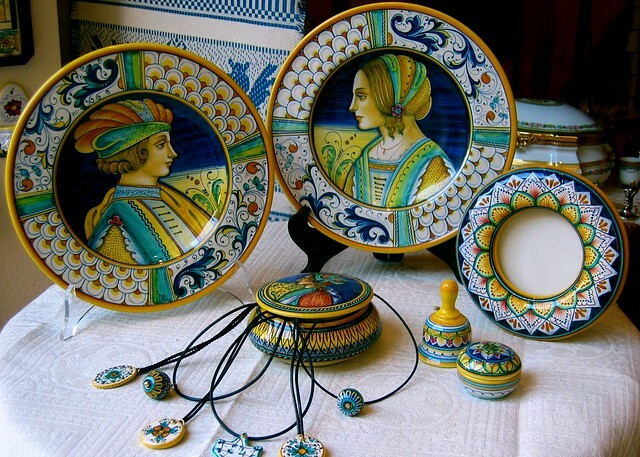 Two of the most recognizable styles are the “Raffaelesco”, with delicate grottesche-style floral, dragon, and rooster motifs said to be inspired by the works of Raphael, and the “Bella Donna”, in which profile portraits of period damsels named and honored in banderoles decorate the center of round plates, encircled by intricate decorative borders. Deruta also developed a signature metallic lusterware production and unique red glaze during the 15th century, still considered the height of Italy’s historic majolica production. 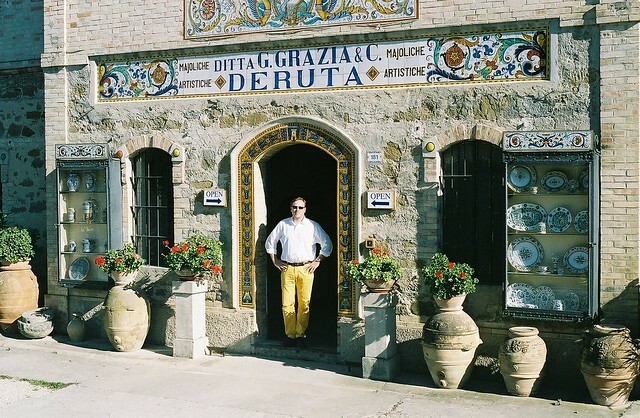 It is easy to spot Deruta along Umbria’s principal highway; its dozens of ceramic workshops spill from the center of town on the hill’s crest above all the way down the slopes to the valley below. Among these traditional ateliers—from the tiny to the sprawling--visitors can choose exquisite hand-painted pieces made with the same care and style as five hundred years ago. 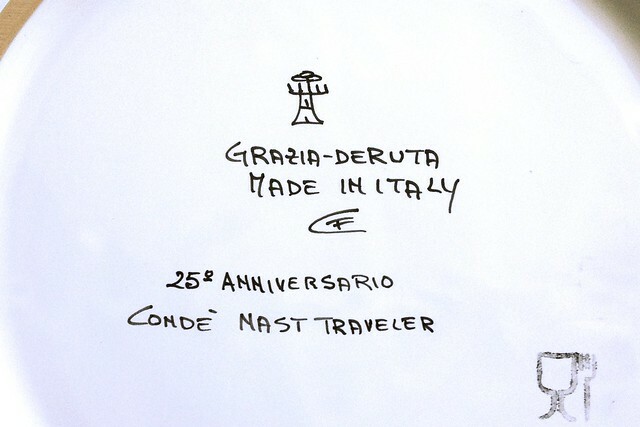 U. Grazia dedicated a limited edition pasta bowl for travelers on our 2012 Italy for Foodies itinerary honoring Condé Nast Traveler’s 25th Anniversary issue. 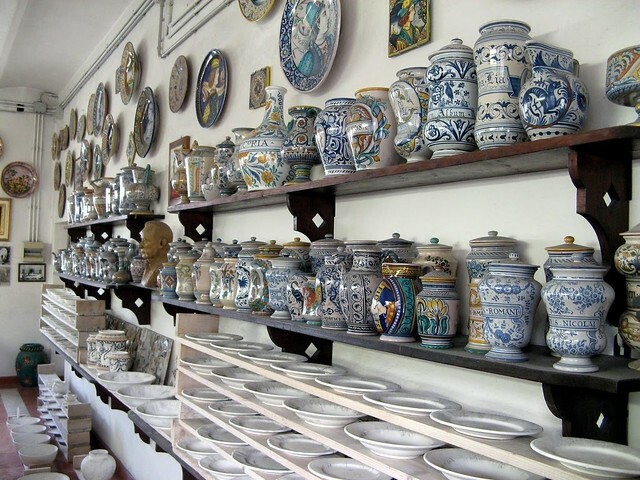 Deruta is home to dozens of ceramic workshops handcrafting majolica in the traditional styles of the Middle Ages. Click to tweet.